We’re all passionate about the progress of our pupils and assessment for learning. But I won’t be joining the growing number of teachers sending work home to plug-the-gaps this Summer. Not that I’m knocking it – each to their own. 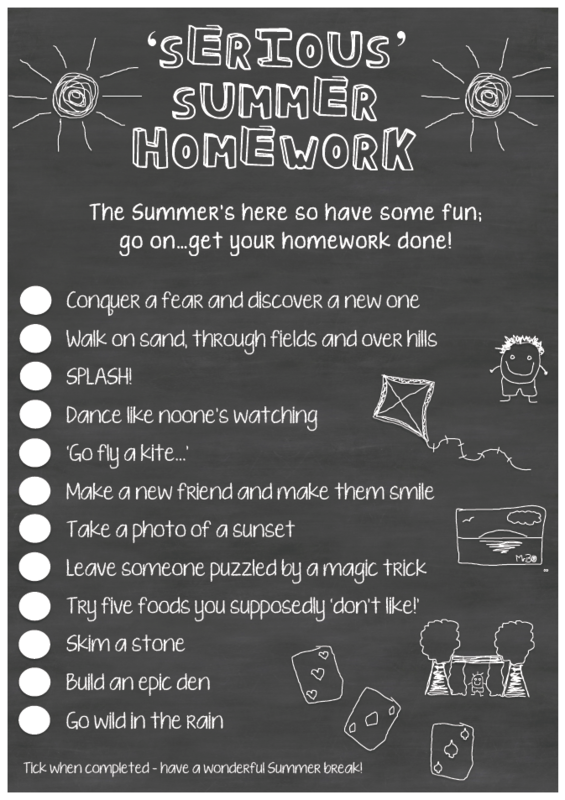 For me, the Summer break/holiday is just that: a break from the pressure of targets and learning outcomes; a break for teachers and pupils alike. Instead, I’ll be assigning homework tasks that’ll put my kids on the type of path I long to spend my working days walking them down – the things that really matter.